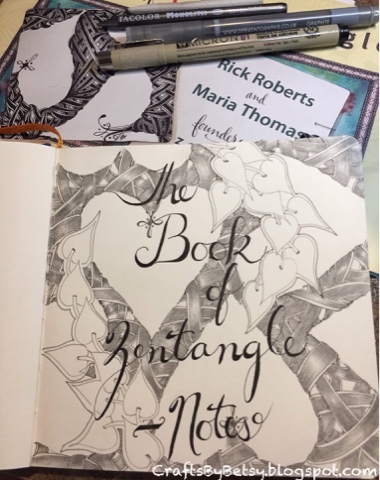 While stepping through the Zentangle® Primer, I found myself going back and forth between it and the first book, The Book of Zentangle, and taking notes. After taking notes the standard way in my bullet journal and realizing I'd like to keep my drawings with them too, I decided to devote an art journal to the task. This one is one of my favorites, a hand.book by Global Art Materials. After all, I hope to have more visual notes or drawings than words, so I thought the nice drawing paper would be ideal. 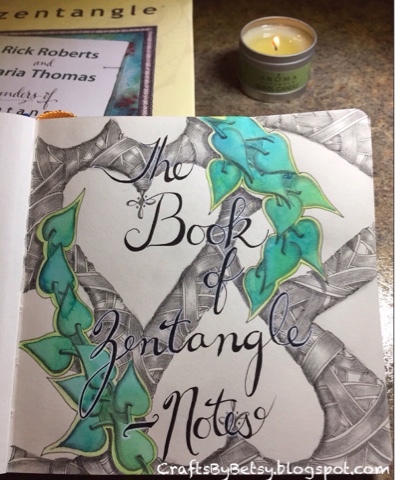 Of course, you could opt for one of the nice journals from Zentangle too, they just aren't in my budget at the moment. While we were on vacation last week, camping, I started working on a title page. We had a nice, sunny fall day at Farewell Bend State Park in Oregon. An ideal time to sit outside and draw. I started with the faux calligraphy then added Poke Leaf. I knew it would add dimension to the page. While I was considering which tangle to use for the background, my eye kept going to Maria's Umble heart tile on their cover. It is a gorgeous tile. Then somehow, I just knew my take on her inspiring tile needed to be on my page. As soon as I got to this point, I knew I wanted to add at least a touch of color. I had brought my travel watercolor book, but I had forgotten a brush! Like most things do with Zentangle, it worked out well regardless. 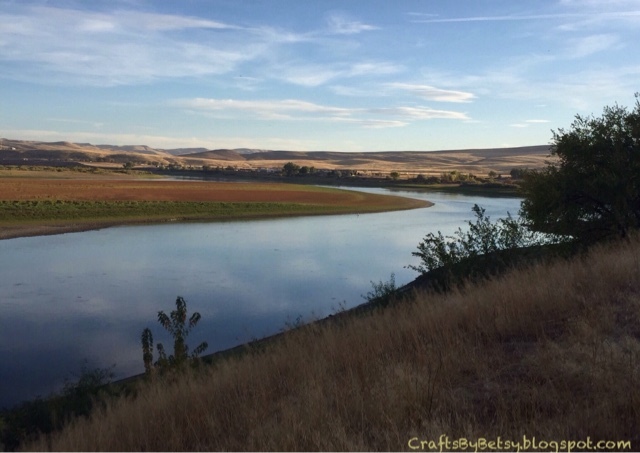 A view from the campground of the Snake river. Farewell Bend was the last stop on the Oregon Trail before the trail turned north through more rugged country. 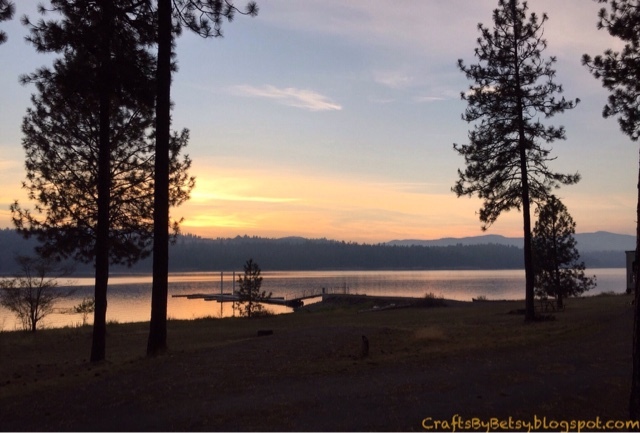 We wound our way up and around to Lake Roosevelt in Washington. Somewhere along the way, I picked up some inexpensive brushes. We had one gorgeous afternoon at a National Parks Campground before a full day of rain hit. Here is the sunset view from our campsite! Even during the gloomy rain the next day, we had a nice view. So, that's all the further I got with my "notebook". While I feel like I should be further along, I know Bijou understands! Notice I added a page for an upcoming Shading class. Check it out if you're interested! I appreciate your comments! Have a great week! What a beautiful title page for your notebook! I´m studying Rick´s and Maria´s books, too. They are very inspiring! Thank for sharing those beautiful photos!